Meticulously maintained FOUR BEDROOM HOME WITH BASEMENT available now! Boasting over 3200 sq.ft., this charming home includes a spacious kitchen w/beautiful hardwoods, custom cabinets, granite countertops, pantry & stainless appliances. Master bed includes vaulted ceilings, walk-in closets & master bath w/double sinks, garden tub & shower. Main level bed features a stylish sliding barn door, pristine chair rail, crown molding & ship lap walls. Enjoy your favorite book or movie in the large family room, centering on a relaxing brick fireplace. 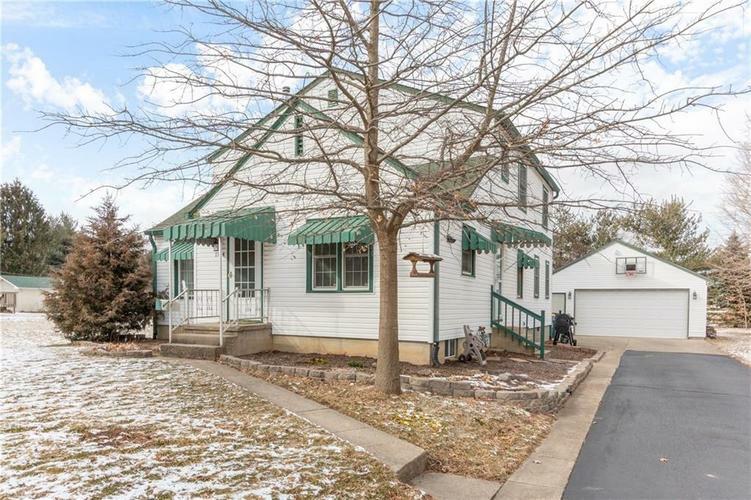 Conveniently located & resting on a double lot, includes 2 furnaces & A/C systems, dual sump pump, asphalt drive, large wooden deck & private backyard. Move in ready, must see today! Open 3/10 12 - 2p! Directions:From Southport Rd. & Madison Ave., Head North on Madison Ave., then turn Right onto Loretta Drive. Your new home will be on the Left.